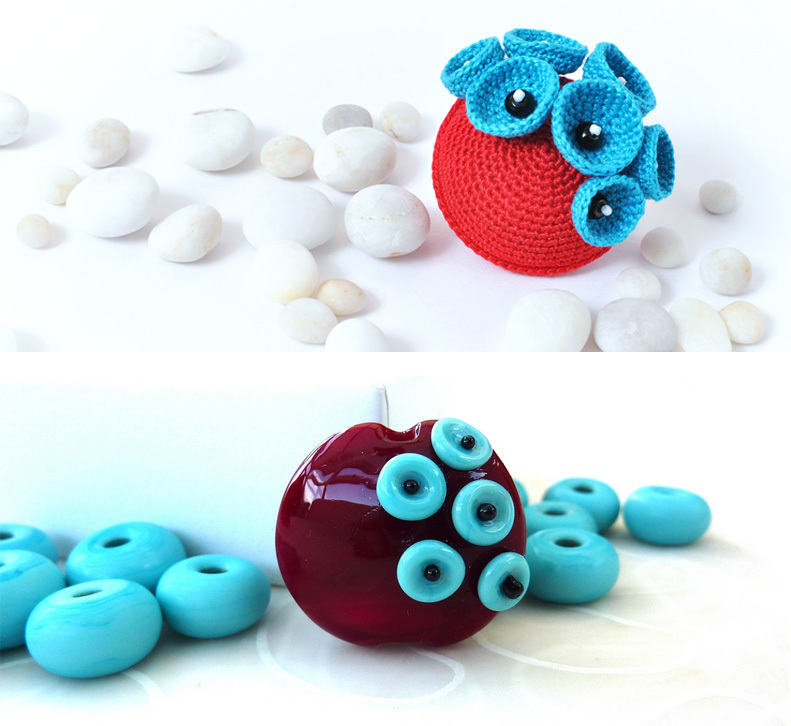 I was pleasantly surprised by Julie’s Fountain creative alternative to my crocheted ‘sea structure brooch’. Julie is an UK lampwork artist, so her version was made of glass. I was so impressed, that I thought I would return the favor and create one of her glass designs in my field of experience: crocheting. And then … Read the full story on Julies blog. Check Julie’s photostream and blog. Her work is amazing!!! This entry was posted in Posts and tagged crochet, seastructure. Bookmark the permalink. Привет! не могу удержаться – это просто здорово! Завидую белой завистью такому творческому обмену. Ух ты, как прикольно! Как вы с ней нашлись? поправляйся да приезжай, можно к ней в гости съездить будет, она мастер-классы проводит.